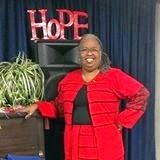 SistahPat RoundtreeRivers currently serves as Co-Pastor at For His Glory Church with her husband, Ben Rivers, Jr., they have been married 45 years. As Co-Pastor she servers as Prayer Ministry Director, Women’s ministry leader, Wives Coffee Chat Bible Study teacher, Preparing to be a Wife Bible Study teacher, Overseer of The Lord’s Kitchen and Clothes Closet, Sistah Pat has received two resolutions one from the California State Assembly for Black History Month 2014 and from the Sacramento City Council , Women Awareness Month 2014, both recognizing her continued community volunteer work for safer, healthy and better community. Sistah Pat Volunteers with several organizations: National Day of Prayer as the Spiritual Advisor; Sacramento City Wide Pastors Fellowship; Helping Hands Feeding Ministry of Sacramento as Spiritual Advisor; Team Leader/speaker for The Invitation to Healing A Woman’s Heart Conference, serves the California Southern Baptist Convention as the volunteer Women's Evangelism Specialist, training women across California to share their faith with courage and confidence. Key Clergy Leader for Sacramento Area Congregations Together(ACT) and PICO(People Improving Congregations through Organizing) where she works with 52 faith based groups to help resolve some of our city and states social justice issues, this organization called her to the White house Jan 2014 to discuss reducing gun violence in our nation, She was also called to Florida Attorney General’s office to discuss mass incarceration of blacks in Florida. Locally she works with the Cops & Clergy in strategizing to reduce gun/gang violence, Works with the Summer Lights program to help keep teens off the street during the summer. She is tireless in her work to reach out to the lost and the saved just the same knowing that all are in the need of God’s love and forgiveness. She is a much sought after preacher, conference speaker/teacher, mentor and best known for keeping it real. Our vision is to equip, organize and mobilize communities and cites to assemble together in prayer, lifting up those that are without Christ, our churches, neighbors, families and leaders in our communities. It is our prayer that all will grasp how deep and immeasurable the impact of "remaining steadfast in prayer" is to a lost and hurting world. That through prayer and love for others that restoration would come about in our communities and cities. This correspondence outlines the complete scope of the prayer walk, including procedures, identification of responsibilities, and the localities of the prayer walk. a. Each prayer group or church will assign a team lead. This lead will be responsible for recruiting volunteers from their church or prayer group to participate in the prayer walk. This event is open to all cites and communities. • answer any remaining questions about the walk. d. Each team should arrive at their assigned gate or cummity area no later than 7:15 am. e. Each team is expected to pray in their assigned area from 7:30 am to 9:00. Each team is encouraged to incorporate praise and worship along with their prayers. f. After the walk, a report back session will be held to fellowship and share testimonies about the walk. 2. Pray weekly up to the event. Prayer walking in groups of two or three in your neighborhood is highly recommended. 4. Participate in the prayer walk on October 3'rd, at your assigned gate. The greatest benefit is that God will be gloried through our prayers. Other benefits include the strengthening of our personal relationships with the Father and each other. The team building across the city with each of the churches coming together can create a pivotal impact on our city for the Kingdom of God. We appreciate the opportunity and the blessing to unite together with you in prayer for our great city.